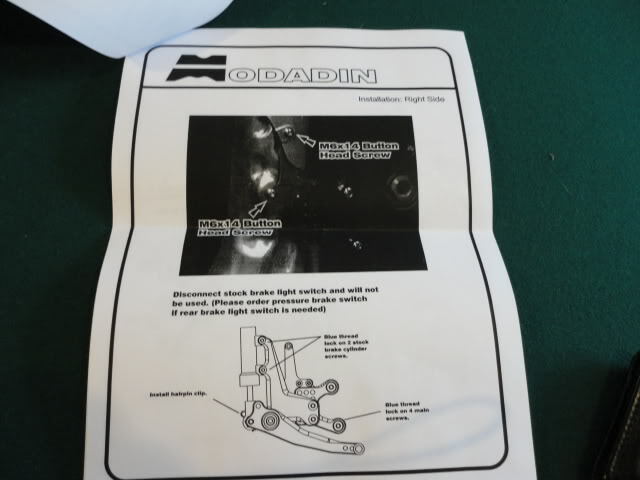 These are from Modadin, a new line by Optimal Racing, a company which specializes in race accessories. 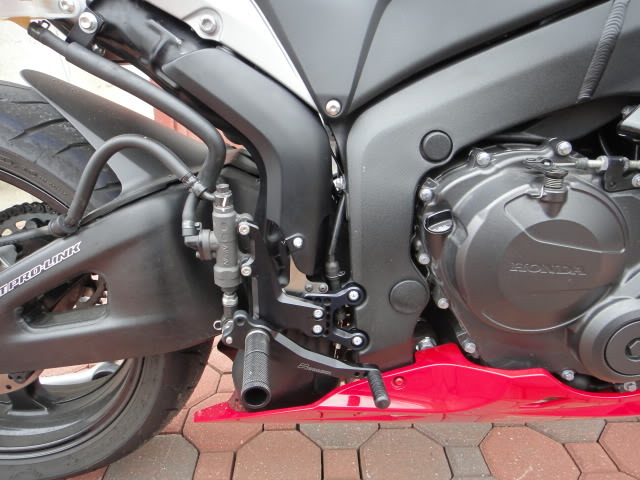 The rear sets are adjustable in many positions. 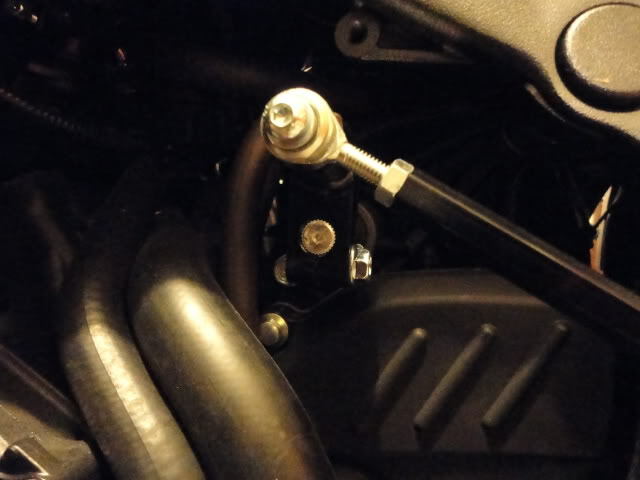 They use stainless ball bearings for the shift and brake levers. The foot pegs are designed for a non-slip feel. 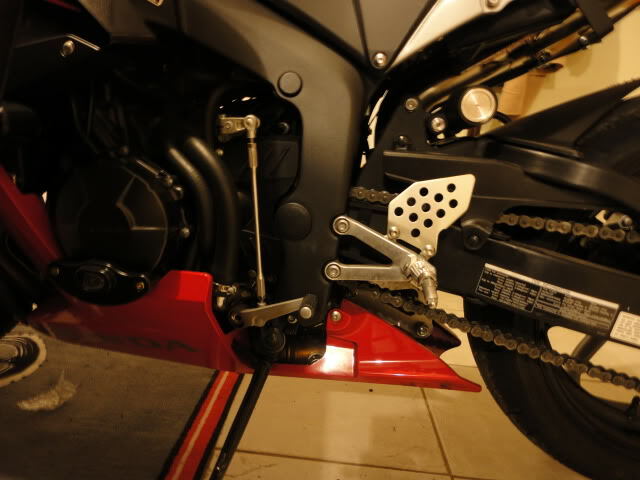 Instead of using a bolt for the pegs like other brands, the foot pegs are designed with a stainless pin for stability and will not snap off during a crash. The pegs are also adjustable so that you can chose the best positions. 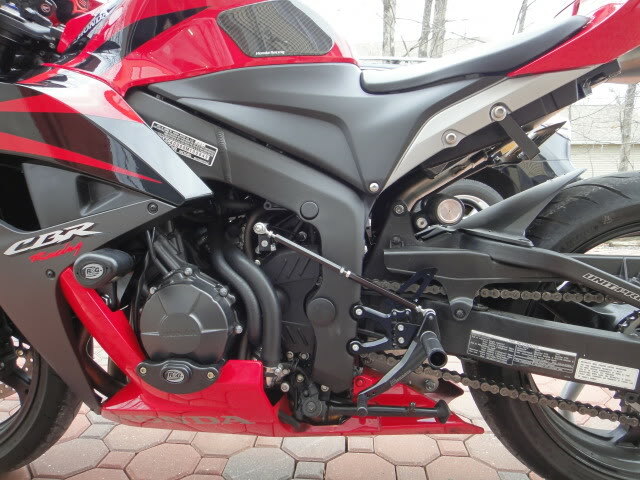 These rear sets are precision made with CNC machined aluminum. 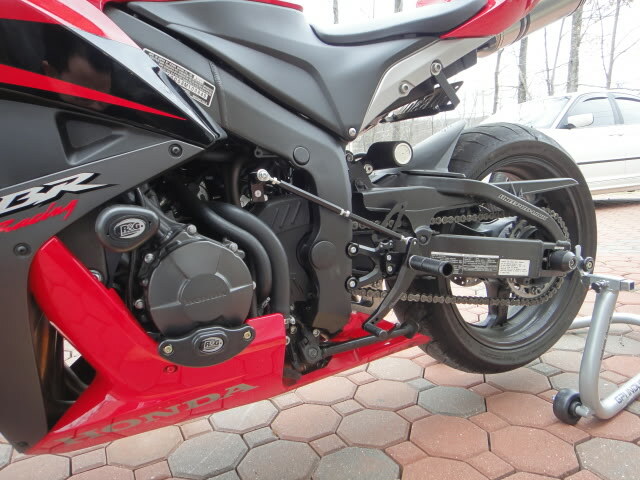 In addition, our rear sets are anodized finishes to prevent from oxidizing and scratches. Available in gold, black, burgundy and blue. 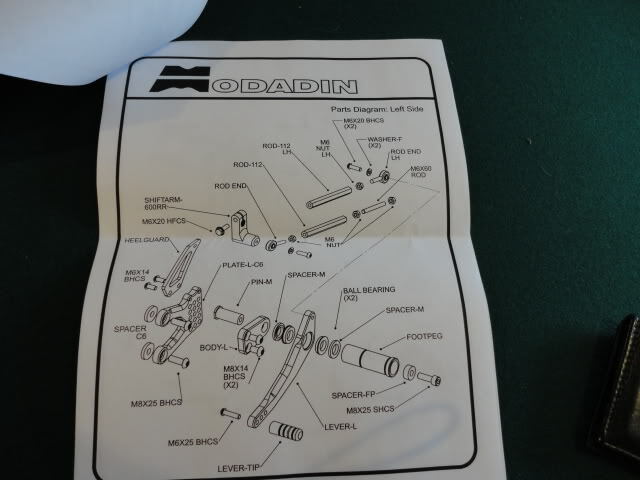 I was interested in a good priced, quality rearset. 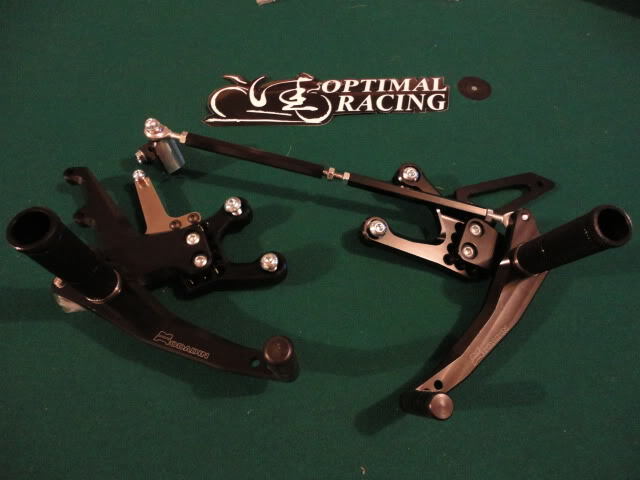 I got these more for aesthetics than the need for adjustments or clearance in turns and such. These were priced pretty well and met a lot of the criteria I was looking for. 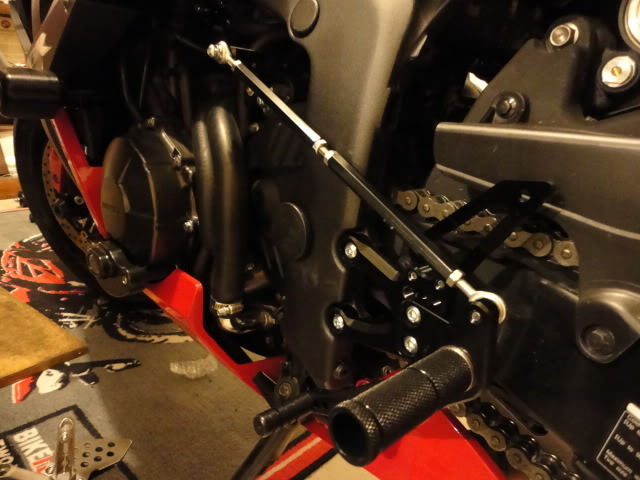 These allow you to keep the stock exhaust cover/shield, no need for added washers to maintain the kick stand like some sets I saw, and allows for reverse style shifting in case I felt froggy every so often. 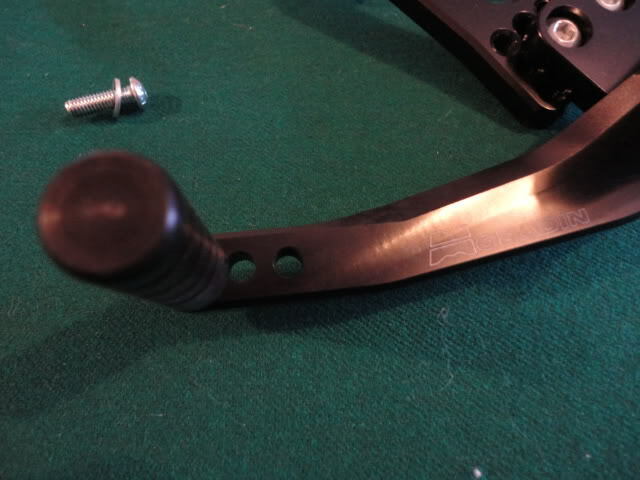 That is one thing that is not mentioned in the description and I had to ask the manufacturer directly, these allow for GP style shifting. 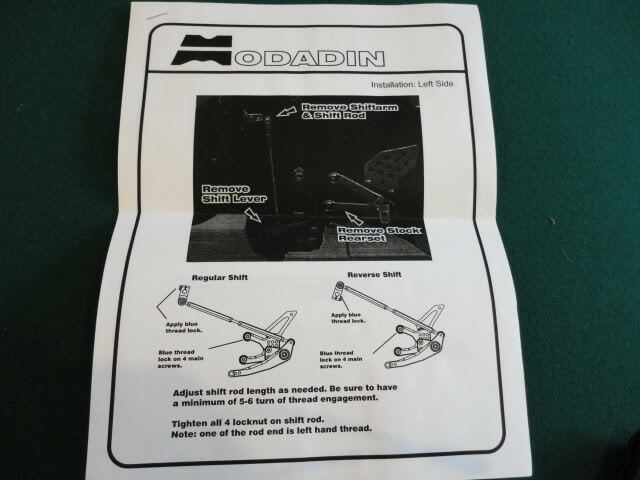 Not only that, each part can be bought individually in case of future spillage and only a peg or a lever gets broken, I do not have to order a brand new rear set. 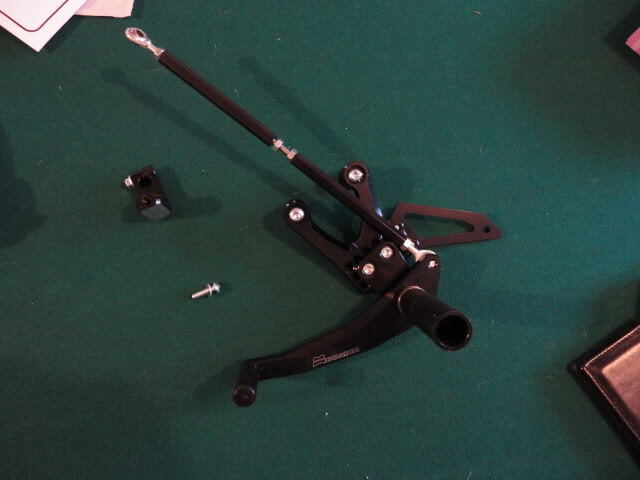 As stated before, this is mainly an aesthetic product for me, thats why I did not see the need to buy the more expensive rear sets, these are really great rear sets and meets all my needs without breaking the bank. It did meet all my expectations. 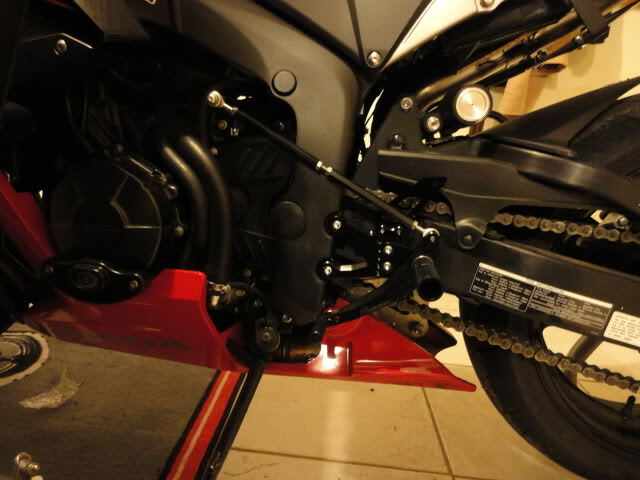 My only issue is that it does not allow for the stock brake light switch, but I do not think any rear set allows you to keep the stock light switch. I believe all must use the hydraulic brake light switch, so its not a big deal. 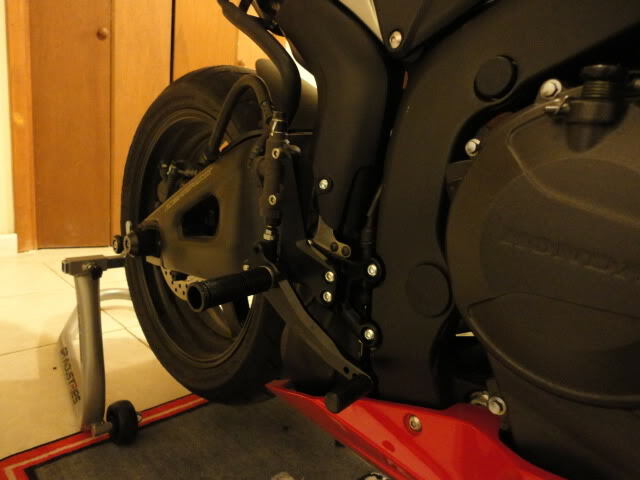 What I really like is that it allows you to keep the stock exhaust shielding components. 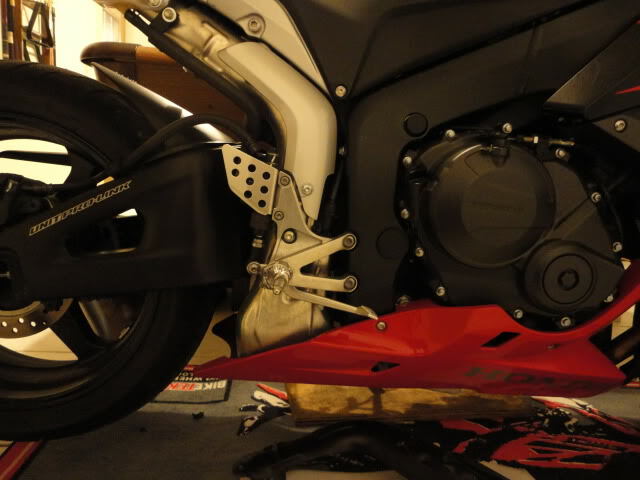 I like how they look on the bike, so that was one thing I wanted my rearsets to do. 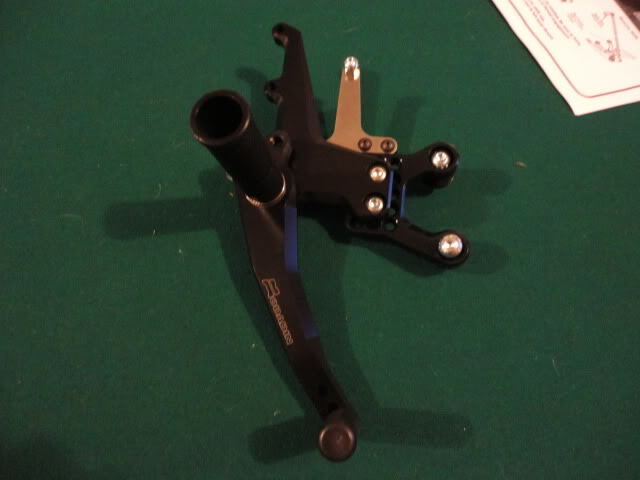 You can tell it is a quality rear set, the anodized black is really slick. I recommend this to others without a doubt. Anyone looking for a quality set, look no further. These are priced really well and are quality. 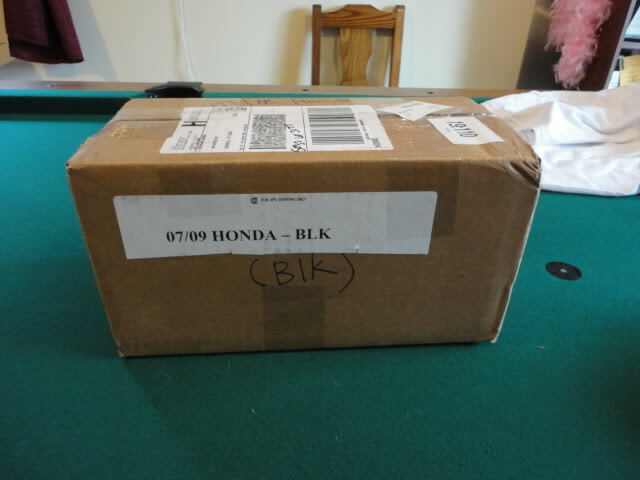 Not only that, they ship from California. I ordered Monday afternoon and got them Friday morning. You have to remember, they are in California and I am all the way on the East Coast in PA, so if you live closer, expect to get them sooner. 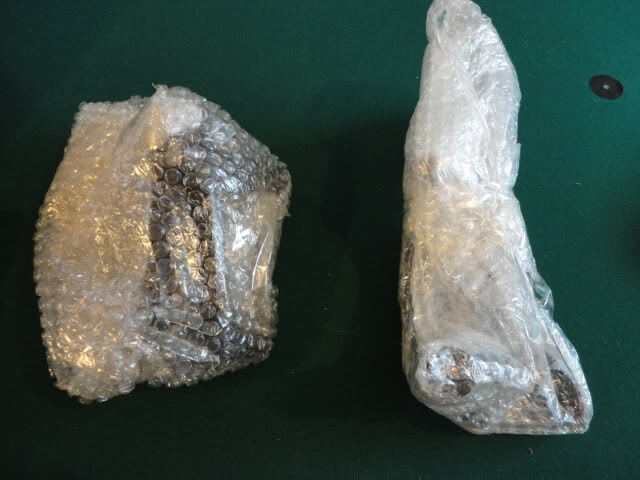 I did not want to wait for overseas shipping or anything like that. I would absolutely buy again. For the price, they are a great pair of rear sets. They really clean up the looks and adds a whole new level to the bike. 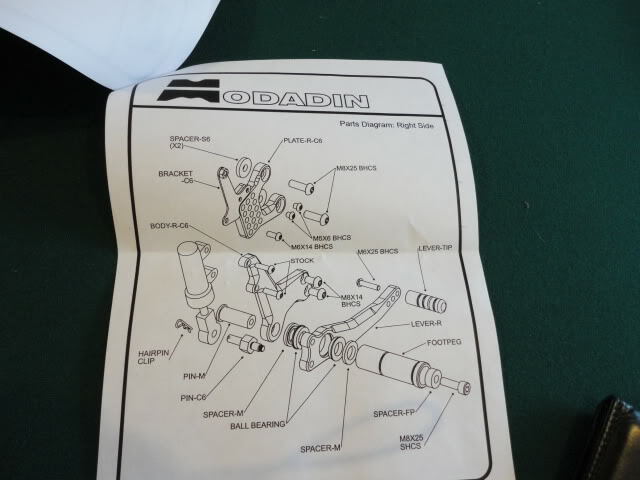 The only issue I have is the way the shifter linkage connects, I like how the stock one connects, so this is PURELY from a looks perspective. 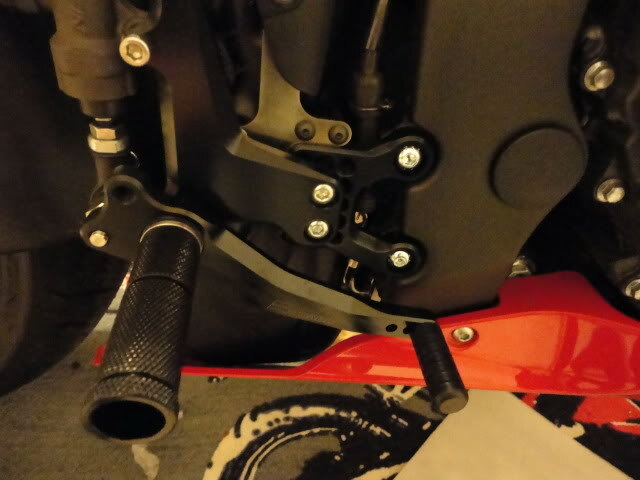 The way the shifter linkage connects though, it adds more adjustability, so I can't complain. 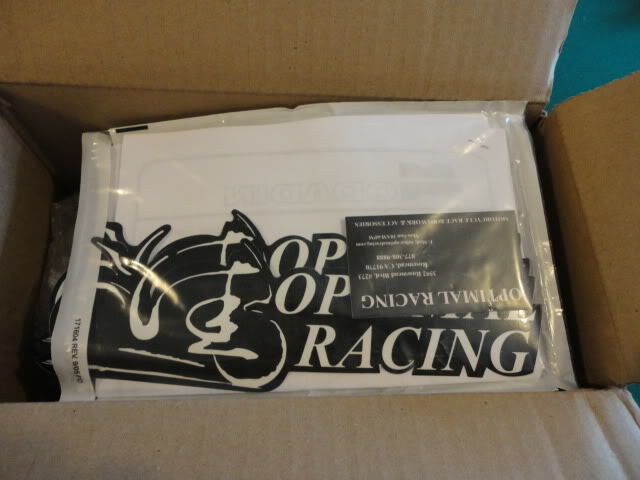 They tossed in some stickers! Thanks for doing this review I might be picking these up in a little bit I just have 2 questions. 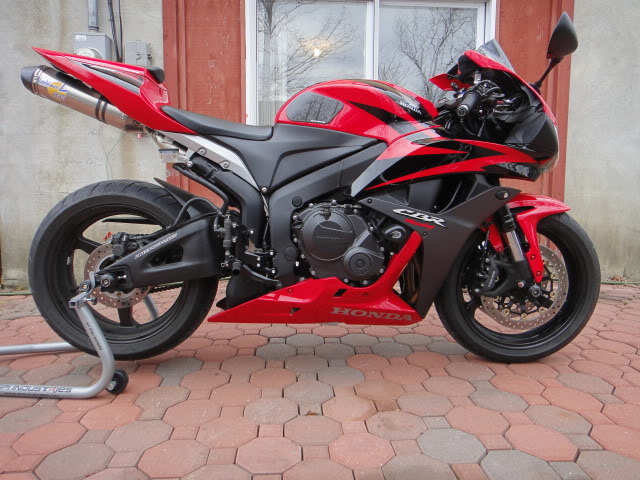 1. what year bike did you put it on? 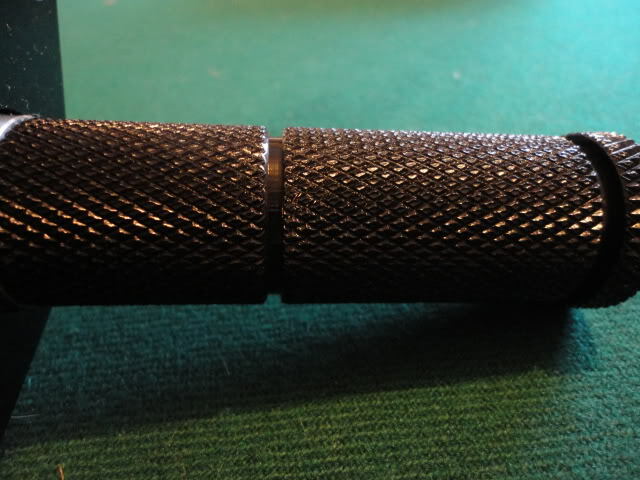 2. the rod seems a bit out in the open are you afraid of it getting hit and bent easly? Sorry for such the late response. I don't check here often. 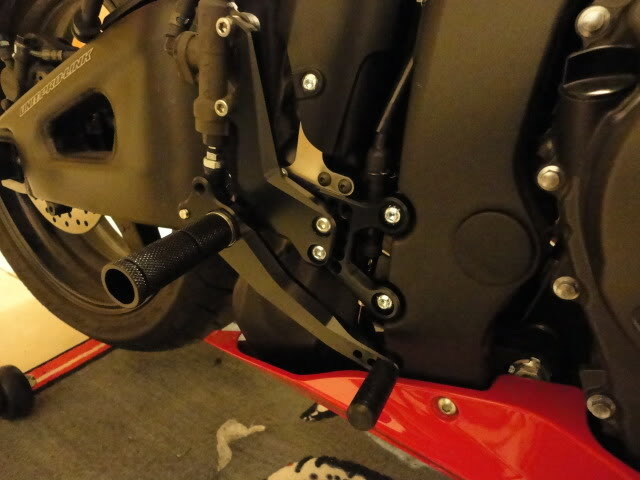 I put these on a 2008, but they can be put on a 09+ with trimming to the fairing cover that goes to the shifter. I don't think it is too much of an issue as far as the rod being out. 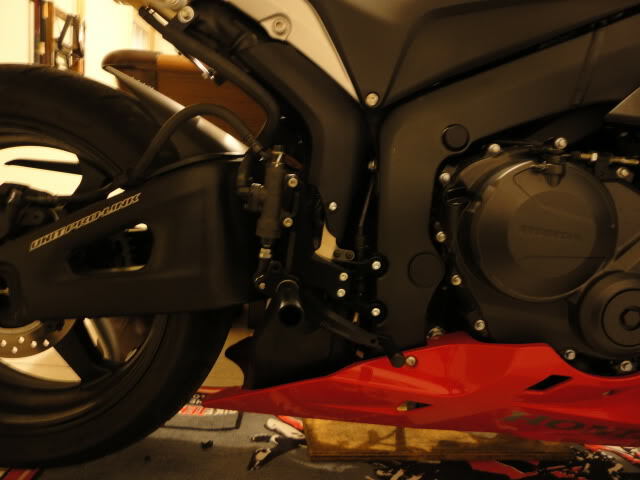 A lot of other rearsets have them like that, plus, my slider is out further and my legs would probably get hit first, lol.